We welcome contributions in the field of Biophysics and Complex Systems. 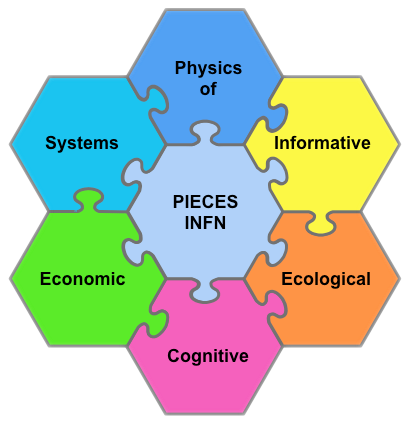 The PIECES initiative (pieces.complexworld.net) is about modeling of complex physical systems in the field of Physics, Biology (population dynamics, cellular interactions, neural systems, noncoding DNA regions), Economy, Social systems, etc. The 8th September there will be a presentation of results and discussion about the European Project Scicafe2.0 (www.scicafe2.0.eu), a project about scientific citizenship, crowd-sourcing, participative management, collective awareness platforms for sustainability and social innovation and science cafes.